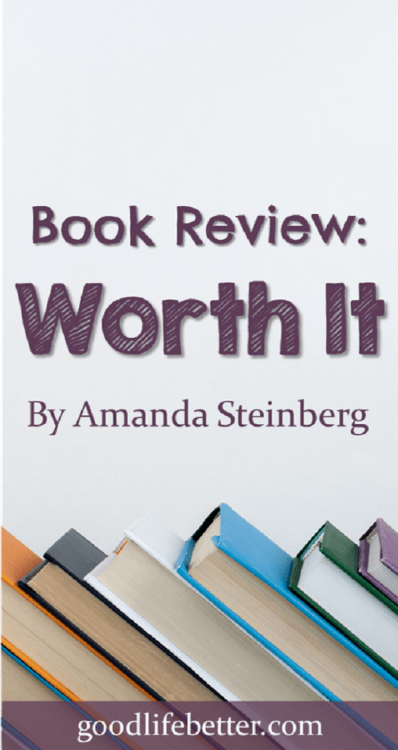 Book Review: Worth It | Good Life. Better. 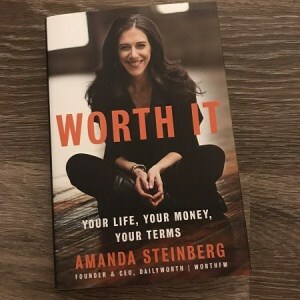 If you came to me looking for concrete, actionable steps for managing your money, I am not sure Worth It by Amanda Steinberg, the founder and CEO of the website www.DailyWorth.com, would be the first book I would recommend. That said, I really liked this book. 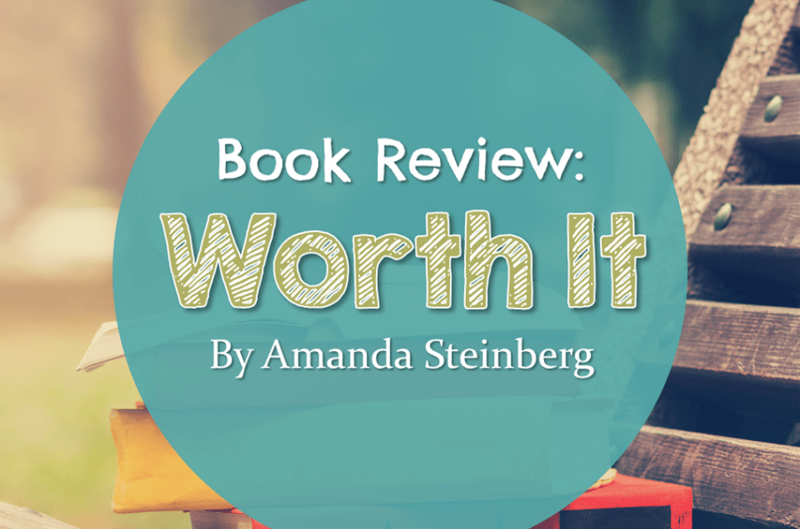 I first read Worth It last summer and really enjoyed it (I binge-read a lot of books so the fact I remembered it, meant I enjoyed it). I re-read it to write this review and again enjoyed it but am struggling to describe its major money lessons. I think that’s because Amanda so readily admits to not having been very good with money for most of her life (and to still making mistakes now and then). 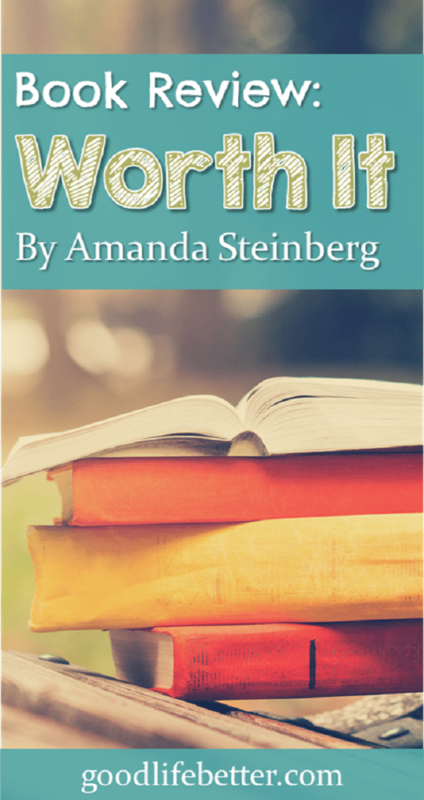 Throughout the book, Amanda talks about managing money in the context of “roots” and “wings.” Roots are the stability you create with your money and include your savings, any home you purchase (she is a renter but isn’t against others buying something), and any businesses you build that you could one day sell for a profit. Wings are the freedoms your money supports you to buy. There are the freedoms you can purchase today and the freedoms your savings will allow you to purchase in the future. The Roots are covered in the middle third of the book. There is information in there about such things as investment vehicles and mortgage types but if I was brand new to money, I think I would find it confusing. Wings are covered in the last third, which offers a system for budgeting that is again, somewhat confusing. She recommends budgeting around three buckets: save, sustain, and spend with a certain percentage of your salary dedicated to each. She insists on having an emergency fund (good advice) plus a little set aside in a curveball fund (since, as she shares, you never know when you might wake up to a text from your housekeeper letting you know your cats have fleas). My favorite part of the Wings’ section had to do with establishing “non-negotiables.” I like this idea because it requires setting priorities for your money (hers were private school tuition, a yearly trip abroad with her kids, a weekly dinner out and a housekeeper twice a month). When you know your priorities, it means you also know what isn’t a priority. This, as she points out, makes budgeting so much easier. Looking past the specific advice and approaches to money brings us to what I think is the best message to take away from the book: women are not only capable of managing their money but once they wake up out of their money comas and take control, can excel at it. This theme flows throughout the book, starting with a discussion of the money stories women (and maybe men too but this book is for women) tell themselves that allow them to cede control. We may not even be consciously aware of the story. For example, my old money story was that only when I have “enough” money will I be secure but since I am unlikely to ever accumulate “enough”—either because I won’t ever earn enough or will manage what I do end up saving poorly—I should resign myself to working until I die. My new money story is that I am my financial security because I make a good salary, am capable of making even more through successful side businesses, and am successful at growing what I have already invested to create a sizeable nest egg that will support me through a long and satisfying retirement. “[R]emaining angry at, or confused by, or disengaged from your finances will cause you more problems than embracing them…. Stop operating from your negative money story—and whatever unconsciously inherited social construct about your relations to money was invented to frighten you…. 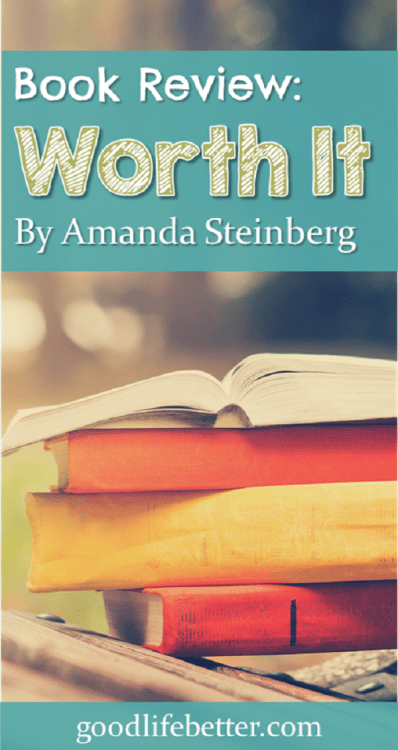 Have you read Worth It? What did you think? Let me know in the comment section below. Good post. Something I’ve learned over time is to listen to my wife’s ideas about money. She might even be a bigger spendthrift and possibly a better money manager than me. I remember seeing some long term studies that showed that women get better average returns on investments because they are more cautious and less “cowboy”. There’s something to be learned from that. Regarding the book, hopefully it can help others. The sooner you start the better. Thanks for taking the time to review it. I’ve read that research too—I know my policy is to not try to chase returns because history shows that doesn’t end as well as sticking to a well-thought through strategy. Glad you liked the review—thank you for the comment!